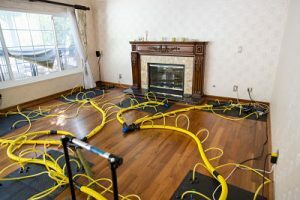 Are you facing water damage caused by a pipe burst, flood, blizzard, or sewage backup in Long Beach? If so, you can get professional help and same day service from the water damage restoration techs at 911 Restoration of Long Beach. Water damage can cause serious issues for commercial and residential property owners in our area. You might discover issues with your drywall, floors, ceilings, and furnishings after a natural disaster or a plumbing emergency. We know that mold remediation can be vitally important after you experience water damage. Moisture in your home or business can give mold the perfect environment to spread, leading to health issues and additional damage to your property. Mold can continue to spread behind your walls and under your floors if it is not professionally removed. Fortunately, 911 Restoration of Long Beach knows exactly what it takes to repair and restore both water and mold damage. Call us 24/7/365 if you need help recovering from the effects of water damage in Long Beach, Torrance, and Carson. Water can be incredibly damaging on its own, ruining your ceilings, walls, and floors. 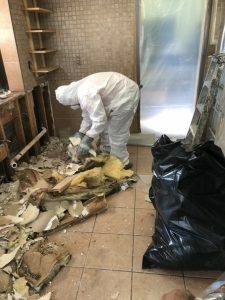 You may also discover a mold infestation caused by excess moisture in your home or business after a flood or a pipe burst emergency in Long Beach, Torrance, or Carson. As a full-service property restoration company, 911 Restoration of Long Beach can also handle any underlying water damage. You can count on our water damage restoration crew to quickly resolve flood cleanup and to repair any leaking pipes in your property. We can also utilize professional-quality air movers and dryers to ensure your property is totally dehumidified. 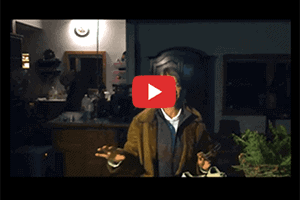 Mold prefers to grow in dark, damp environments. Drying out your home or business can leave mold nowhere to hide during the cleanup process. Let us provide you with the professional assistance you need after a water damage emergency or mold infestation. Call us now and we will start working to bring your property back to better-than-new condition in Long Beach, Carson, or Torrance. We can even pack out and store your undamaged possessions to limit the damage done by water. Let our professional water damage restoration techs offer you the tireless support you need so that your property can be returned to pristine condition. No job is too big or too small for the experienced technicians at 911 Restoration of Long Beach. Our crews can handle flood cleanup, sewage spills, and mold removal. We are IICRC certified to take charge of mold remediation issues in properties around Long Beach, Torrance, and Carson. You can get immediate information about your situation with a water damage and mold inspection from professional techs. Let us handle mold decontamination to protect both your health and the structures of your home or business. 911 Restoration of Long Beach has experience working with all insurance companies, so you can rest easy during the restoration process. Take charge of your future after a water damage emergency by contacting us today. The techs at 911 Restoration of Long Beach can totally restore your home or business so you can get a Fresh Start now.